There are a lot of things you could call 2013: Year of Obama Care, the Year of Twerking, the Year the Google Glass. For me, though, 2013 was the year of the Spyder. 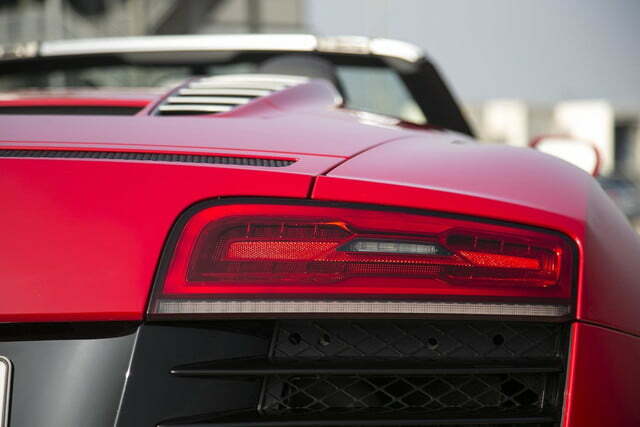 Spell it how you will: Spyder, spider, convertible, roadster, targa, whatever. It all comes out the same in the end. You’ve got an open-top sports car, open road, and open throttle. Accordingly, below you’ll find – in alphabetical order – 10 of the best drop-top motoring machines to hit the market in 2013. Happy holidays, happy New Year, and happy motoring. Yes, the Audi R8 Spyder might be a couple years old. For 2013, though, it’s been wildly reshaped – by German standards, at least – and made much more dynamic. You can order the R8 Spyder in three power configurations: First is the 4.2-liter V8 that makes 430 horsepower and 316 pound-feet of torque. The V8 model can be bolted to either a six-speed manual or a seven-speed S tronic dual-clutch transmission. Next up is the 5.2-liter V10 with 525 hp and 391 lb-ft. Again, this one can get either a manual or dual-clutch gearbox. 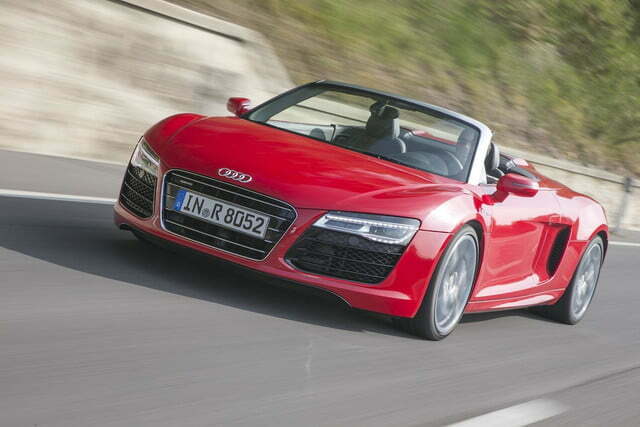 Lastly, we have the 5.2-liter V10 Plus. This masterful machine makes 550 hp and 398 lb-ft. Audi will only let you have the S tronic in this kit, though. That’s OK. It frees your right hand up to do … other things. Say what you will about Astons; but they’re breathtakingly gorgeous. The Vanquish Volante, which Aston claims is the “ultimate convertible super GT,” is certainly one of the best looking of the bunch. The Vanquish Volante isn’t just a looker faking the performance funk; it’s technically impressive, too. 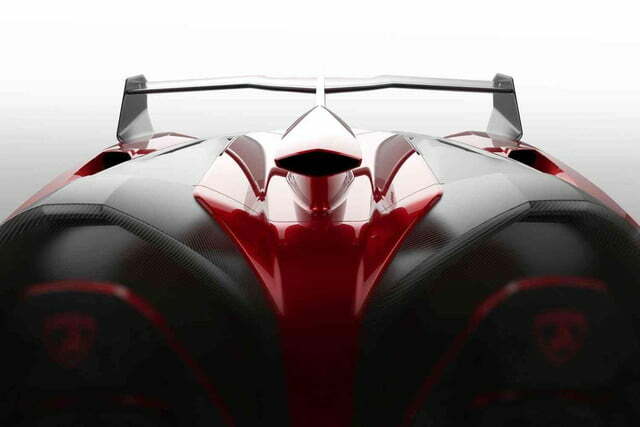 That phenomenal body is actually woven entirely from carbon fiber. Underneath that hard-bodied form is a 6.0-liter V12 that turns premium fuel into 565 blistering horsepower. 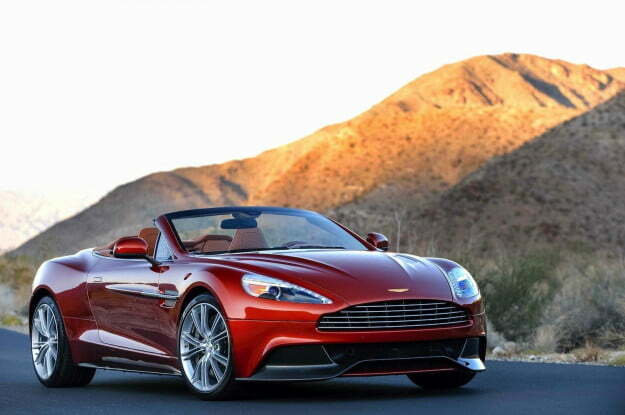 All told, the Vanquish Volante will sprint 0 to 62 mph in 4.1 seconds and onto a top speed of 183 mph. So how much will the ultimate convertible super GT run you? 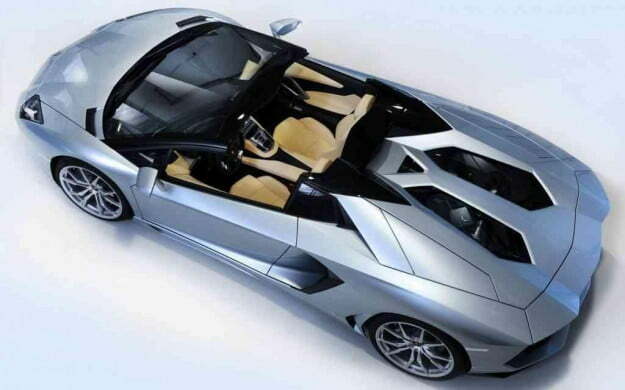 The Volante starts at $297,995. 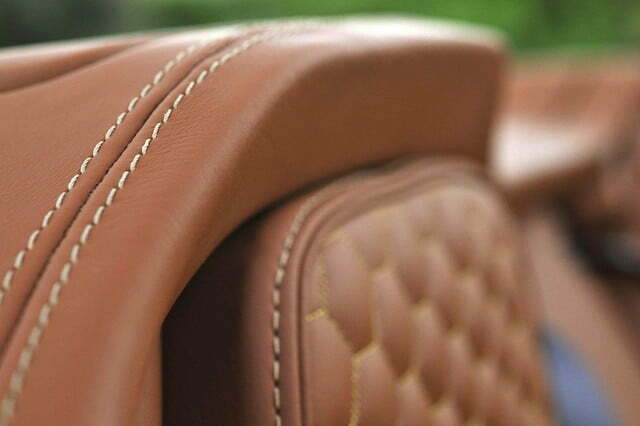 So don’t expect to leave the Aston dealer for anything under $315,000. It’s so, so worth it, though, don’t you think? 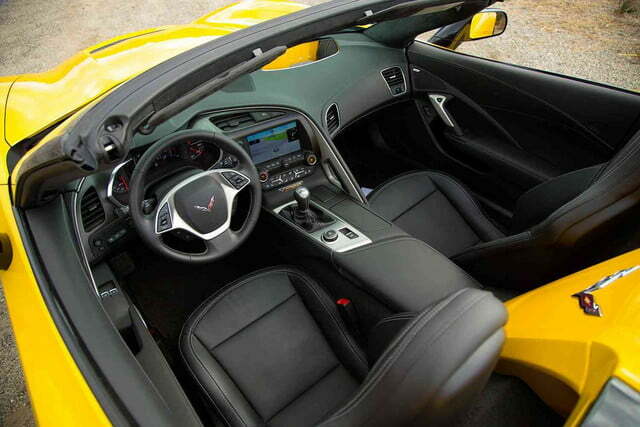 The Stingray Convertible not only looks like a supercar from just about every angle, it grunts and goes like one, too. Instead of simply bolting a stupid soft top to a chopped Stingray coupe, GM designers penned the Stingray and Stingray Convertible side-by-side, ensuring they’d both look equally striking. And it worked. 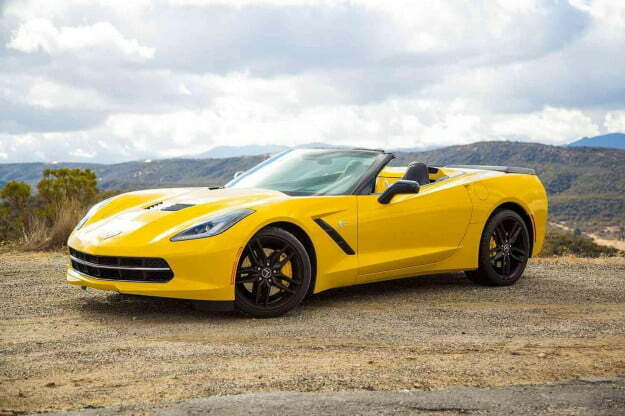 Powered by a 455-hp 6.2-liter small block V8, the Stingray Convertible will go 0-60 3.8 seconds. Yes, that’s fast. 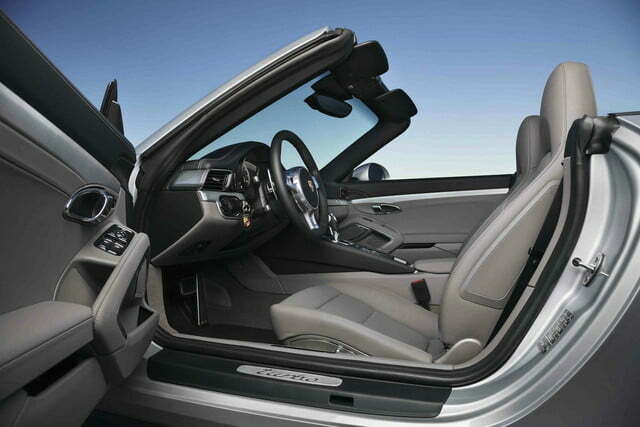 With the top down, though, it’s your ears that will be singing. With the sport exhaust and the top down, the Stingray Convertible is one of the best vehicles we’ve ever had the pleasure of eagerly pushing along the planet. 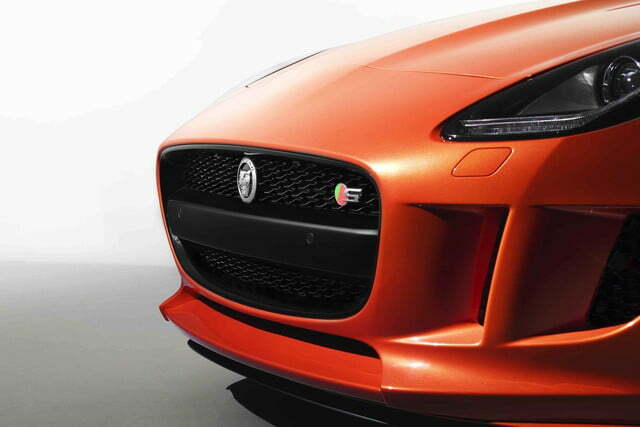 Earlier this year, we could just call this car the F-TYPE. 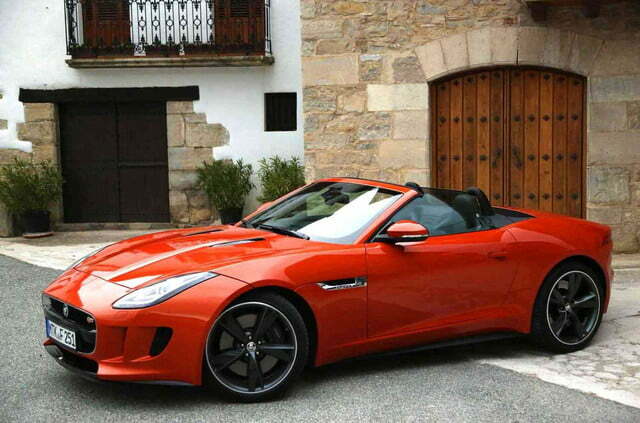 Now that Jaguar has unveiled the F-TYPE Coupe, though, we now have to call it the Convertible. So there’s that. Although the chief Corvette Stingray designer called the F-TYPE a “pretender,” I still think it is one of the best looking things to hit showrooms in two decades – the Coupe is even better looking. Delightfully, this wildcat isn’t all show – it’s got plenty of go, too. Powered by either a 335-hp supercharged V6, a 375-hp version of that same 3.0 V6, and a 488-hp supercharged 5.0 V8. You might be thinking the best one is the full-tilt V8 version. You might be right. For my money, though, I’d get the upper level V6. It sounds just as good as the V8 and since the F-TYPE Convertible isn’t much of a track-day car, it goes just about as well on the street as the V8. I’d like to tell you that, like most of the rest of the cars on this list, I’ve driven the Aventador Roadster. But I haven’t; it’d be a lie. That said; I still aim to drive it some time. I mean, look at the thing. Why someone wouldn’t aspire to drive it – above all other things – is beyond me. This angular wedge of Italian braggadocio is powered by a 6.5-liter V12 chucking out 691 hp and 509 lb-ft. Thanks to that monstrous power, it’ll do 0-60 mph in less than three seconds, and reach a top speed of 217 mph. Just a word to the wise, you might not want to have the top down above 170. I’ve driven some convertibles above 170 and, well, the elements try to attack you. Rocks somehow fly in – from where, I don’t know. The wind tries to separate your scalp from your skull. And the sound of wind being displaced – at that speed – is deafening. 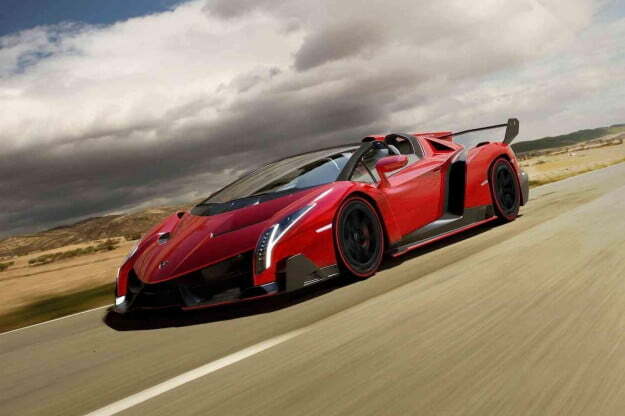 Just when we thought that the Aventador would be the most mental drop-top demon on the list, we come to the Veneno Roadster and blow everything else off the planet. Just like you might want to avoid driving the Aventador sans top above 170, you might just want to wear goggles the entire time you’re behind the wheel of the Veneno Roadster. Why? It comes with the same insanely powerful 6.5-liter V12 as the hardtop. This engine is good for 740 horsepower, 0-62 mph in 2.9 seconds and can reach a top speed of 220 before you can finish hyperventilating. I could tell you all about this car. But, really, what does it matter? Lambo is only making nine examples at $4.5 million each. So even if you could have one, you’d have to fight off Ralph Lauren and the Sultan of Brunei off to get one. Good luck with that. When other automakers create a convertible version of a hardtop car, they usually have to add weight. The extra weight comes from reinforcing the structure, as to avoid wobbliness without the added rigidity of the roof. Not Lotus, no. 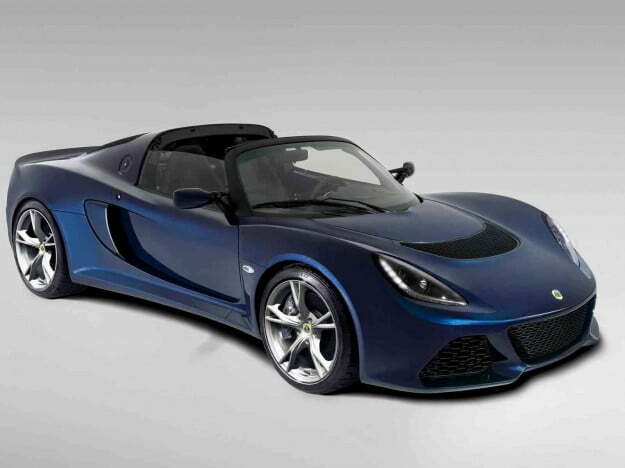 The clever Brits at Lotus found a way to retain structural rigidity and also remove the top. The result is a car that weighs 22 pounds less than its coupe brother. Powered by the same mid-mounted 3.5-liter V6 as the rest of the Exige range, the Roadster produces 345 horsepower and 295 pound-feet of torque. Power is sent to the rear wheels and launches the sunburn-inviting Roadster to 60 mph from a dead standstill in 3.8 seconds. 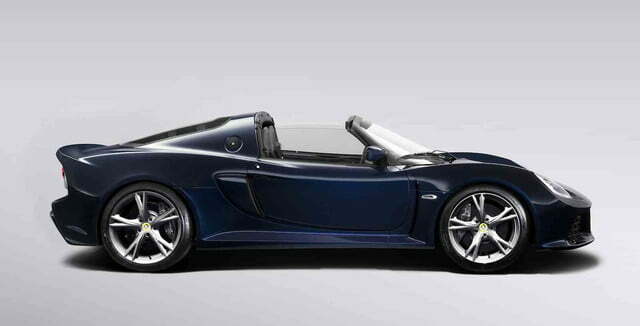 Is it the best looking of the 2013 Spyder bunch? No. Is it probably one of the most fun to drive? Yes. If you’ve never driven a Lotus, I suggest you try. Earlier this year I mocked McLaren for being bad at naming things. Some of you scoffed and tried to explain the McLaren nomenclature to me. You didn’t realize one thing, though; I already understand the McLaren monikers and I don’t care. They’re just bad. 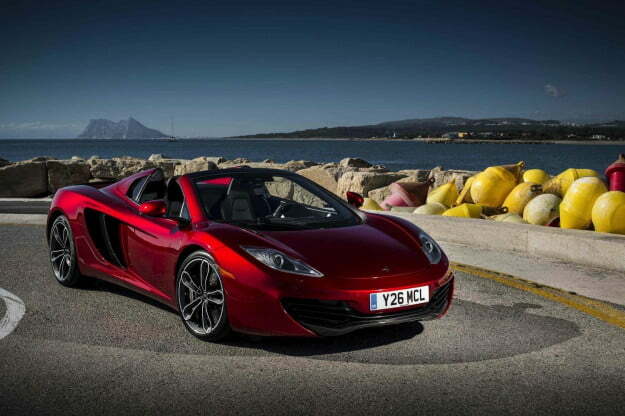 That said, the MP4-12C Spider is a wondrous thing indeed. Spider uses a modified version of the same carbon-fiber chassis found on the hardtop model, along with the raucous twin-turbo, 3.8-liter V8, and seven-speed, twin-clutch seamless shift transmission. Thanks to its 616 hp, it’ll jaunt to 60 mph in 3.2 seconds and hit 200 mph. Yes, it might have a stupid name. But, thankfully, it’s no slouch. Many motoring enthusiasts argue that once the roof comes off a car, it’s all a wash. If you want a convertible, get an MX-5 because wind in your hair is wind in your hair. Why pay $120,000 more than you need to for the same experience? While this might be fine for some penny-pinchers, the Germans know better. That’s why they’ve chopped the top off both of the 911 Turbo variants, creating the 911 Turbo Cabriolet and 911 Turbo S Cabriolet. 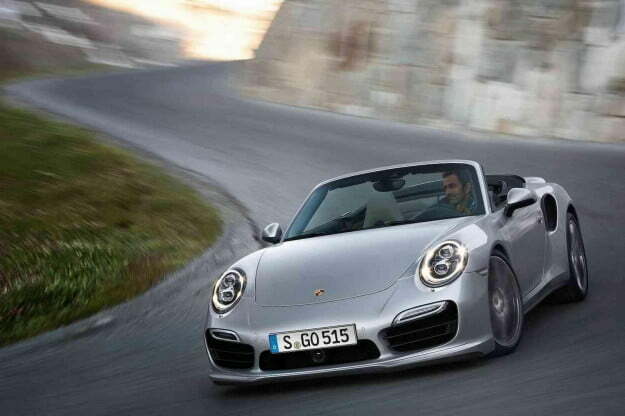 Capable of 0-60 mph in 3.3 and 3.1 seconds respectively, the Turbo and Turbo S Cabriolets are deliver 30 more horsepower and are 0.2 seconds faster than the previous iterations. Impressively, the 911 Turbo Cabriolet and 911 Turbo S Cabriolet are rated by the EPA to achieve 17 mpg city and 24 mpg highway. I used to scoff at the idea of a hybrid hypercar. 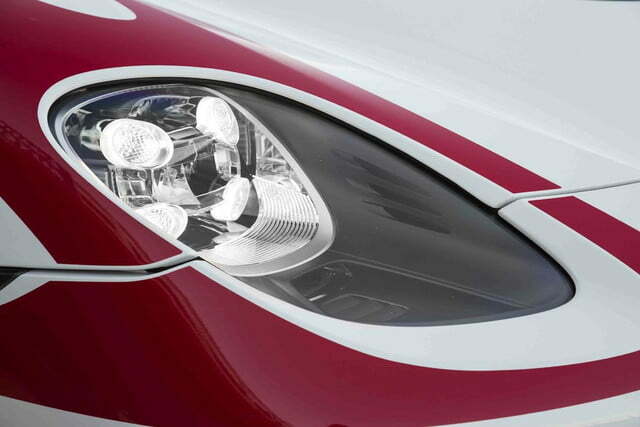 But Porsche makes a convincing case with the 918 Spyder. Constructed of carbon fiber, the two-seater open-top supercar weighs only 3,692 pounds – and much of that weight comes from it prodigious powertrain. Porsche bolted a race-inspired 4.6-liter V8 behind the rear seats that produces 608 horsepower and 390 pound-feet of torque. And that’s just for the gas engine. The 918 Spyder has two more power sources besides the V8: a 154-horsepower electric motor also turns the rear axle while a 127-horsepower electric motor spins the front wheels. 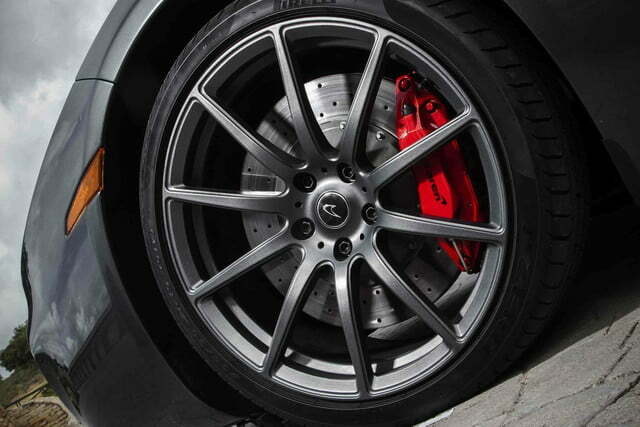 This takes total system power output to an impressive 887 horses and 590 lb-ft of torque. 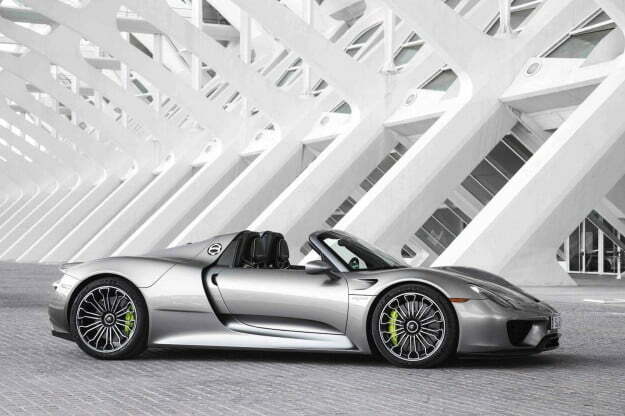 With the V8 and both electric units spinning, 918 Spyder will do 0-62 mph in 2.8 seconds and 0-124 in 7.9 seconds. Which, ironically enough, is actually faster than your soul can leave your body.